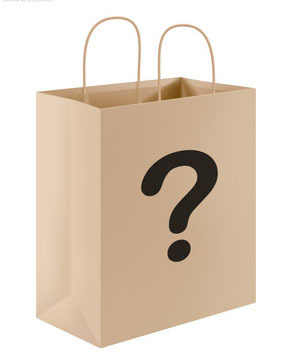 Categories: Past Special Offers, Richard Christian Matheson, Richard Matheson. In 2003 Richard Matheson and R.C. Matheson collaborated on a project, the end result which was PRIDE. Both authors wrote their own story on the same theme. Richard Matheson handwrote his story (as he did with all of his novels and short stories) and R.C. Matheson typed his story. The two them collaborated writing a screenplay merging elements of both stories. 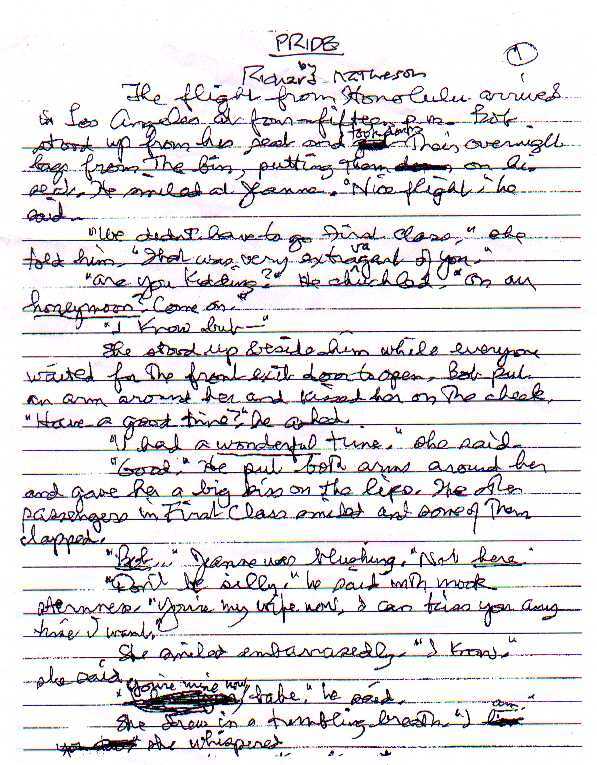 Richard Matheson sent us a copy of his 4-page story–a handwritten copy. He later agreed to sign copies of his story (signing each of the 4-pages). Nowhere else is the complete 4-page story available. We are selling the 4-page stories for $199 (click here to order). There are just seven sets altogether which we are offering on a first-ordered first-served basis. We also have four copies of pages 1, 2 and 3 of the story (each page signed) which we are offering for $99 (use the order button on this page to purchase). 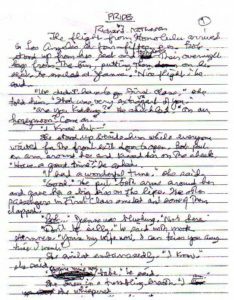 Here is a photo of the first page of the story – you can see Matheson made numerous corrections on his handwritten draft. We will also toss in, at no additional cost, the signed numbered (8 ½ x 11 paperback) edition of PRIDE (signed by both Mathesons). These were returned from a distributor and show some wear (our only copies remaining). And solely for those purchasing the handwritten story you can purchase a “PC” lettered edition (book only) of the signed limited edition of PRIDE (signed by both Mathesons) for only $50 (a 75% discount from the $200 cover price). Click here to add this to your order (you’ll need to select the Lettered Edition from the drop down menu – it will automatically change the price to $50 once you do so). The short story and books will ship next week.